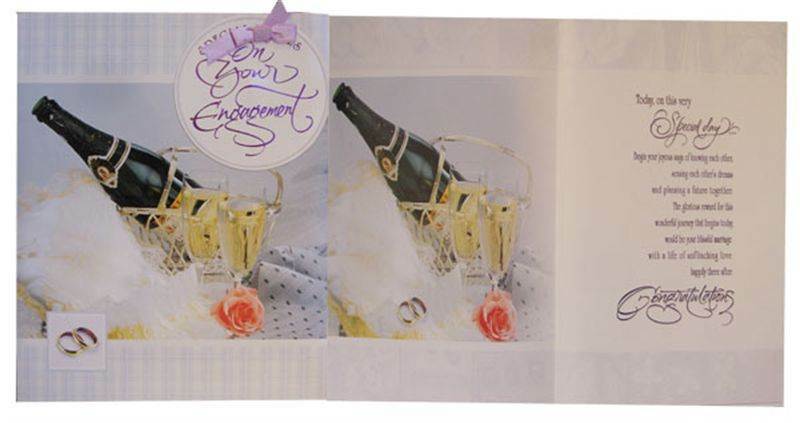 Front Message : Special wishes on you engagement. Inside Message : Today, on this very special day……..begin your joyous saga of knowing each other, sensing each other’s dreams and panning a future together. The glorious reward for this wonderful journey that begins today, would be your blissful marriage with a life of unflinching love happily there after. Congratulations.